Fine Art is creating art knowingly and meaningfully. There is a story and narrative to artworks and a History to artworks. It is the impression of reality rather than reality itself. In his piece “Markische Heide” (Mark Heath) 1974, Anselm Kiefer uses mud, texture, stone and rubs it into the canvas as he does in many of his other paintings. For me this is a highly emotional and expressive piece even though I do not instantly know what it is about or what the artist is trying to convey. Kiefer grew up during the Second World War in Germany and saw the country reduced to a pile of rubble. He could possibly be using these earthy materials within his work to evoke the sensation of growing up amongst the rubble. It has been said that Anselm Kiefer could be referring to Casper David Friedrich’s oil painting “Felsenland schaft in Elbsandsteingebirdge” – ‘Rocky Ravine’ (1822-23) in this work. Friedrich has captured the spirit within a country and a sense of place. This is perhaps what Kiefer is trying to express in ‘Markische Heide’ – the vast German landscape of forest and wilderness. In Kiefer’s work, he references the idea of something being sublime a fair bit. He also references mythology and experiments with Romanticism. Romanticism is an intellectual movement from Germany that was introduced to the UK. It is based on the idea of something being so overwhelming that you cannot understand it – otherwise called the sublime. In terms of Kiefer’s work, he feels that these sublime moments remind us of our own humanity. An Example of the sublime seen within artwork would be John Martin’s painting ‘The great day of His Wrath’ (1851-53). This piece depicts the apocalypse and shows the way in which we look at nature. Kiefer has also used biblical references in his paintings, usually that of the Father, Son and Holy Ghost. Anselm Kiefer’s works are huge and always almost overwhelm nature. The have clues about them and within them but they always lead to a dead-end. The great expanse of heath in Anselm Kiefer’s ‘Markische Heide’ could represent a feeling of being lost or a road to enlightenment. We also ask ourselves because of his history, is it the road to Auschwitz? There’s a great sense of the unknown, the sublime, No solution is given to the viewer. In one of Kiefer’s most recent works “Over your Cities, Grass will Grow 2010”, he has collaborated with Sophie Fiennes. Strange tower like structures have been built. A useless and disfunctional city has been created. This is incredibly different to his previous works and can almost be said to be on the edge of madness. However, it does coincide still with the idea of romanticism that he started with. George Baselitz (Born 1938) is another German artist that is inspired by German Romanticism and that can be looked at. Baselitz was also born just before the destructive war and division of Germany. 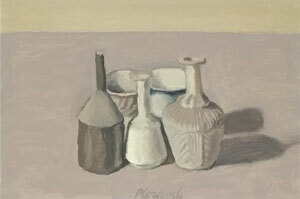 He believed that art was not about representation in a raw sense but about the object that you are making. Baselitz became famous for being the painter who paints upside down, to free his subject matter from the concept of painting. Baselitz was influenced by Mark Beckmann’s Departure 1933 and his piece “Der Wauld auf dem kopf” (the forest on its head) was the first example of him painting things upside down. It was a form of Abstraction without abstracting it and it reinterpreted what he saw. This fits in with Friedrich’s “Dolmen in the Snow” 1807 and the Idea of a forest references Kiefer’s work. This fits in with the idea of recreating Germany and creating a new language of painting. 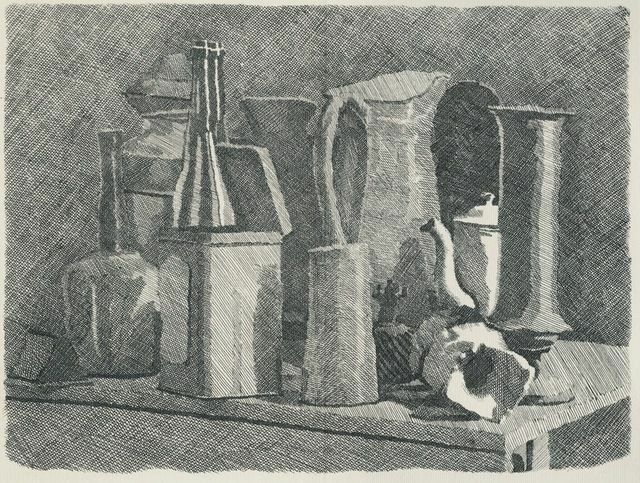 This can be seen in his piece “Nachtessen in Dresden” (supper in Dresden 1983). It is a portrait of the artists that created the ‘Die Brücke’ – Expressionist movement in Germany, Ernst Ludwig Kirchner, Erich Heckel and Edvard Munch. These artists own works are referenced in the painting, Munch’s “The Scream” is in the middle, Heckel’s woodcut on the right and Kirchner on the left. It is also loosely based on the last supper. 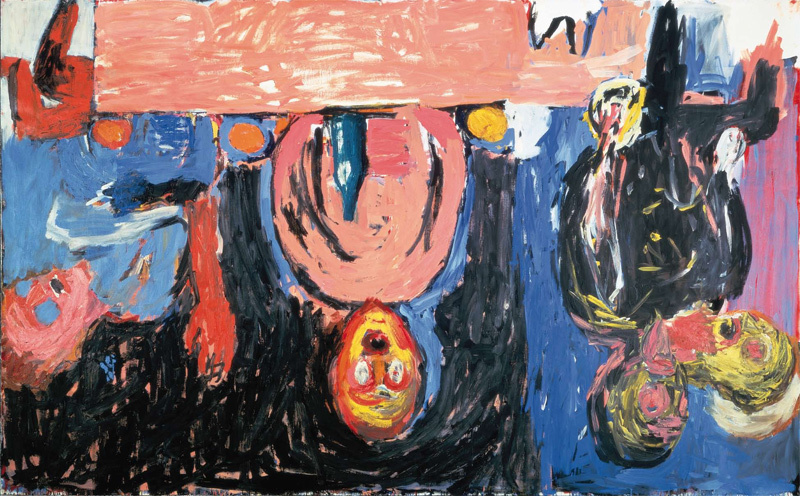 Prior to abstraction by turning things upside down, Baselitz produced Fracture Paintings. This was again his trying to find this new language within abstraction. In conclusion, Both Baselitz and Kiefer’s work is inspired by German Romanticism. The war made people forget and want to rebuild. These two artists are rebuilding and recreating within their artwork. They are rebuilding and recreating new ways of painting and Language. To create new artwork, he felt you had to know the old. If you know the History of Art, you know what options are available to you and how to progress with influences in your own practice. The Idea of autonomous art, is about knowing your own limits. 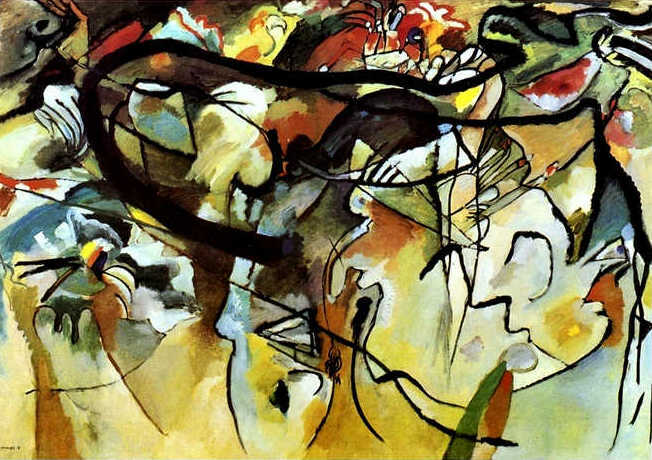 Kandinsky’s piece “composition 5” has a great deal of conflict and harmony within it. Kandinsky was a pioneer of abstract painting. During the industrial revolution, artists including Kandinsky felt they needed a way of painting to show how they felt. The felt that there lives were mechanised and disfunctional and wanted to paint to convey losing a sense of conventional order and so turned to a more abstract approach. 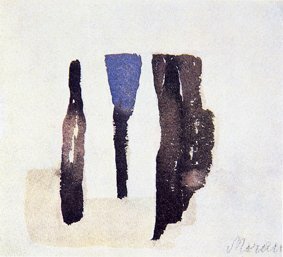 Abstraction gives a valuable insight into how the artist experiences disorder in the world and how they experience it. Kandinsky produced ten large compositions in this where he is influenced by religion and the story of cleansing in the Bible. He Explores the narrative of the Book of Revelation. Through Colour and Line, He wanted us to experience ourselves the spiritual element within his work and wants to evoke a sense of energy to the viewer. During his artistic development, Kandinsky looks at many different ways of using paint in his work. 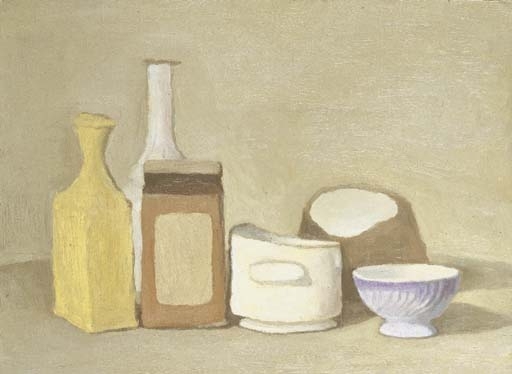 He gathered knowledge of other artists whilst trying to develop his own artistic vocabulary. As he gains a more in-depth knowledge of other artists work, his own work becomes more increasingly about colour and form. He felt that children’s Art is the perception of the world we lose when we are educated. He looked at art from different people from different backgrounds because he felt that our own experiences influence out artwork. Kandinsky was a great believe in primitivism in art. In ‘Composition 5′ you can see (after analysing his early stages of painting) that he tells a story within his work and everything is connected in some way if we look long enough. It is an eclecticism of styles and stories. Elements of the religious stories from the Book of Revelation are seen in many of his earlier works. This particular painting points towards the third dispensation, the Holy Ghost. Kandinsky has moved away from the hardened world and created a new language by weaving different stories together. From Kandinsky’s work, I have learnt that some Art maybe abstract but it has meaning. Kandinsky wanted us to explore this and find elements of story within his work and to create our own response. The narrative is harder to find within abstraction but he wants people to have to search for it. He wants his work to affect us immediately and spiritually. It has also reiterated to me, the importance of gaining knowledge of Art History.